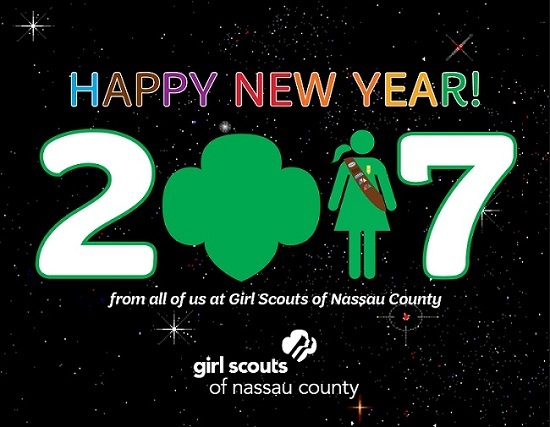 As Girl Scouts of Nassau County closes out 2016, we look forward to 2017 and give thanks for the time and work of our volunteers who are the mainstay of Girl Scouting! This past year we celebrated the 100th Anniversary of the Girl Scout Gold Award with an extra fancy Gold Award Ceremony for 101 recipients at the U.S. Merchant Marine Academy, with Captain Cynthia Robson, Gold Awardee and a professor at the Academy, as our keynote speaker. In November we concluded our 100th Anniversary Celebration with our Golden Flight to Leadership Conference that included noted women as keynote speakers and panelists. Geared to both adults and older girls, the Conference provided information and inspiration on the skills and traits one needs to be a leader. The bulk of Girl Scouting occurs in Troops and groups that meet regularly. Troop Leaders, parents and Association volunteers set the path for our Girl Scouts to pursue Journeys and badges that introduce girls to new experiences and help them unleash their inner G.I.R.L. (Go-getter, Innovator, Risk-Taker, Leader)™. In Girl Scouts, girls take the lead, change the world, make friends and build skills, all while having fun! The Girl Scout Cookie Program once again took the lead from January through March with our girls mastering the 5 Skills and showing their support for Operation Cookie. Camping also saw a slight uptick in the number of girls participating at Camp Blue Bay proving that girls love going on adventures in the outdoors… especially when there is boating involved. This year’s Annual Meeting brought us a new group of Members-at-Large for our Board of Directors, and the Delegate body passed six proposals that will allow our Council to govern more effectively and to be in accord with the New York State Not-for-Profit Corporation Laws. 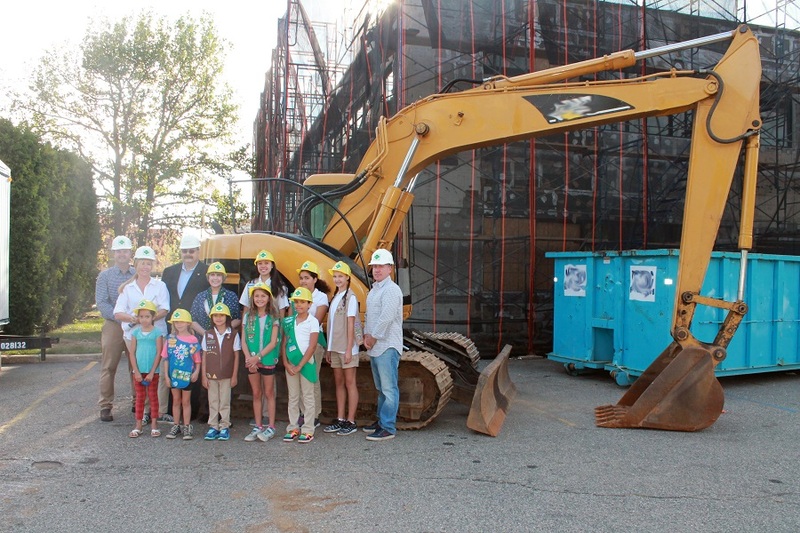 The biggest news for GSNC this past year was the actual start of renovations on the Girl Scout Service Center at Ring Road in early July. The staff has been temporarily relocated to 325 Duffy Avenue in Hicksville while the building has been gutted to allow for all-new updates to insulation, room configuration, electrical, HVAC, technology as well as adding a 1600 square foot extension on the north side of the building. 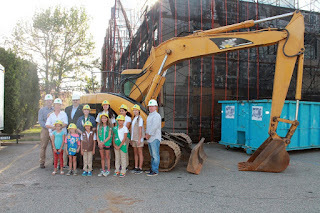 The first floor of the building will be almost totally devoted to the needs of our girls and volunteers with an expanded Girl Scout Shop with attached Volunteer Resource Center, more meeting space, designated space for Entrepreneurial Programs, and designated public space for our Living History collection. We expect to be back in our newly renovated space by late spring 2017. Also coming in 2017, Girl Scouts of Nassau County is following the lead of our national organization in implementing the new Customer Engagement Initiative [CEI] that will allow us to use technology and personal connections to better serve our girls, parents and volunteers. Members will be able to register and complete applications online for both girls and adult volunteers and Volunteers will have more program planning and Troop management resources available to them. There are so many exciting things already happening in Girl Scouts that we can’t wait to… see what else 2017 has in store! You may know that your Troop earns proceeds from Cookies and girls earn patches and rewards, but did you also know the Girl Scout Cookie Program teaches girls essential skills that will last a lifetime….and it’s fun? Every year, Girl Scouts of Nassau County (GSNC) asks our girls and families for their feedback about the Girl Scout Cookie Program. When the Girl Scout Research Institute measured the impact of the Girl Scout Cookie Program, they found that a majority of Girl Scout “Cookie Entrepreneurs” are developing the five essential skills of goal setting, decision making, money management, people skills and business ethics. 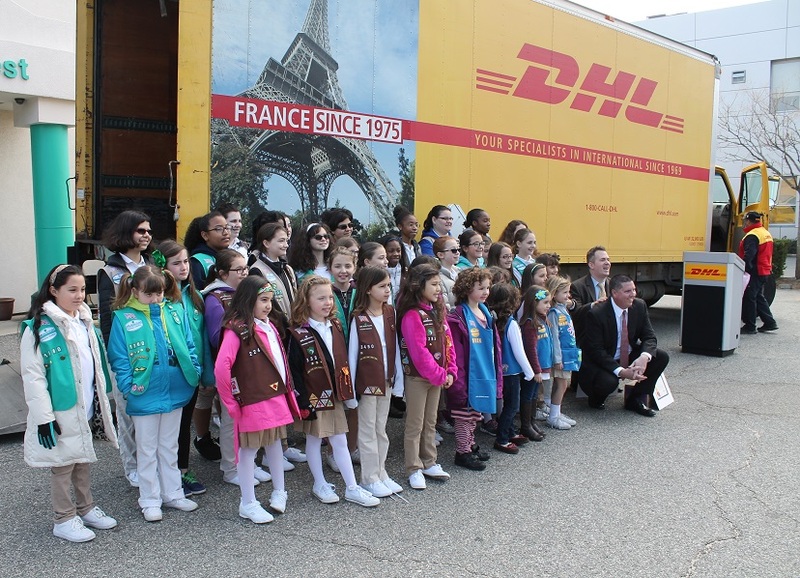 Learning valuable life skills via the Girl Scout Cookie Program helps girls become successful community and business leaders, now and in the future. *Not surprisingly, what our girls like least about selling Girl Scout Cookies was the cold and snowy weather! If you recognize this statement, either you or someone you know is a proud Girl Scout. 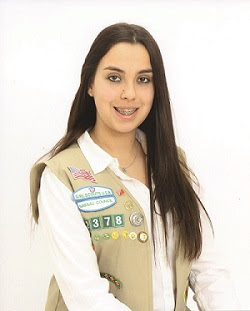 I have been a Girl Scout for so long that it feels like I was born in uniform. I joined Girl Scouts in kindergarten as a Daisy, the youngest Girl Scout group. My mom signed me up because she thought it would help me make friends, but in reality, Girl Scouts has taught me not only about friendship, but also about responsibility, leadership, honesty, respect, and so much more. I used to recite the Girl Scout Law from memory without really thinking about what the words mean, but now I realize that the Girl Scout Law has shaped the person I am today. At the age of seventeen, I have been a Girl Scout for more years than I have been anything else; nearly thirteen years of my life have been dedicated to not only my Troop, but also to myself, in the sense that everything that I’ve done in Girl Scouts has helped mold me into a better person. And, earning my Gold Award has been an achievement for which I am most proud because it constantly reminds me that I can accomplish anything I wish to do. Being in Girl Scouts has given me friendships that will last a lifetime, as well as skills and strengths that I will take with me into college and into the workforce when the time comes. Having been a part of a strong, united group for so long makes me look forward to joining student organizations and civic organizations in the future. It makes me look forward to finding others who share my values of service and community.